In assessing the validity of a non-compete agreement, courts are frequently called upon to assess whether an employer has a legitimate business interest in need of protection. 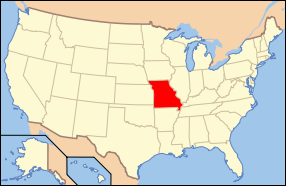 Most states classify trade secrets and customer contacts as protectable interests, and Missouri is no exception. The recent Missouri appellate decision Brown v. Rollet Bros. Trucking is notable in at least one respect. In affirming the trial court's declaration that a commercial trucking dispatcher's non-compete was invalid, the court examined whether the employee's access to a rate sheet and other pricing information implicated trade secrets concerns. The court made a distinction between access to an actual trade secret and less valuable confidential information, the latter not amenable to protection through a non-compete. In Brown, the dispatcher was given access to a rate sheet listing his ex-employer's shipping rate and fuel surcharges. That sheet was adjusted at various times - sometimes monthly, sometimes annually. Relying on long-standing Missouri precedent, the court found that this type of confidential information was not a trade secret. In so holding, the court specifically noted the key difference between the two legal concepts: confidential information is generally limited to a single or ephemeral event in the conduct of a business, whereas a trade secret is a process or device for continuous use in the operation of a business. With respect to pricing out a customer job, a trade secret can be found if the employer uses a specifically developed code or formula to churn out bids. However, as in the Brown case and in countless other fields, pricing information is often fleeting with sales managers given vast discretion to match a competing bid or adjust prices based on a fluctuating cost of materials. When assessing whether information is truly a trade secret, or merely confidential, attorneys ought to consider whether the information is fleeting and subject to becoming outdated relatively quickly. A set of engineering diagrams, manufacturing processes or other formulas used consistently in the operation of a business differ markedly from rapidly evolving operational information which can become useless after even a short period of time. This was good decision by the courts.There is no trade secret to a trucking operation,it has to do with cost management more than any trade secret.If the day comes that a shipper cannot call a dispatcher that he or she met at another company it would not be good for the overall economy.That is what happened in this case.This decision will hopefully help keep the trucking industry from becoming a mophia.